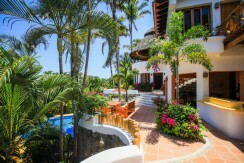 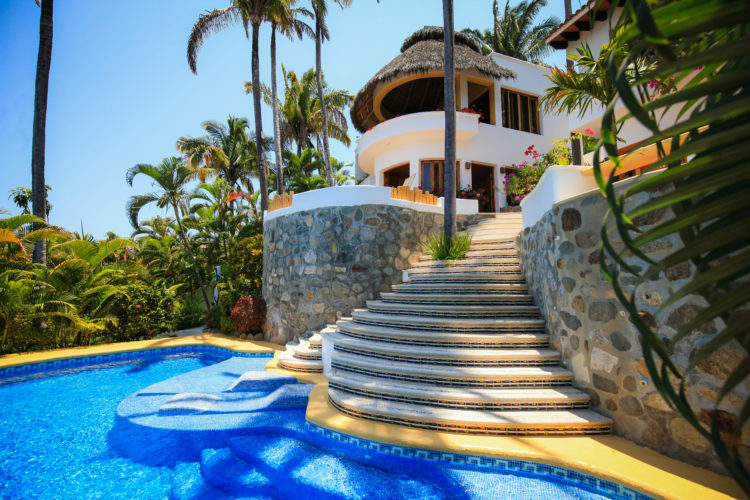 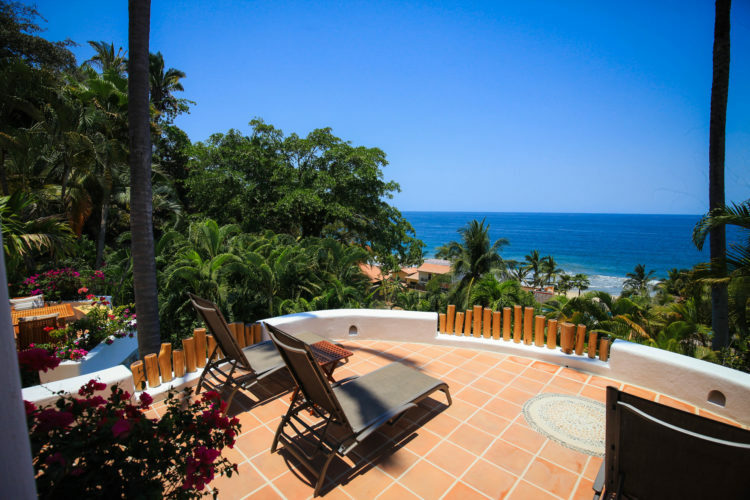 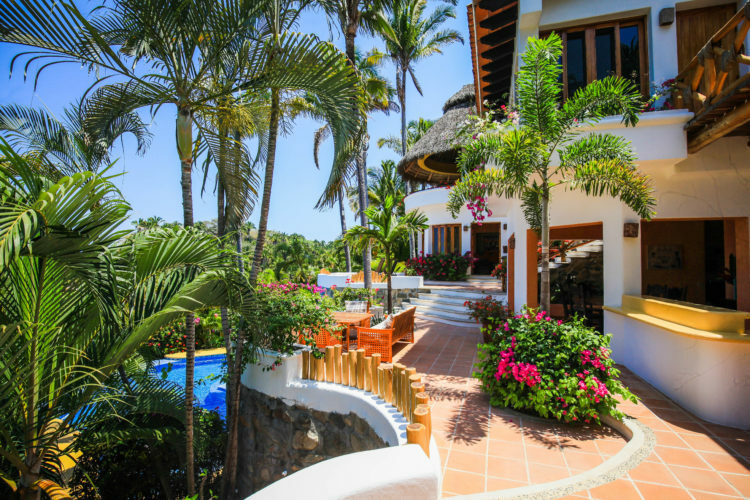 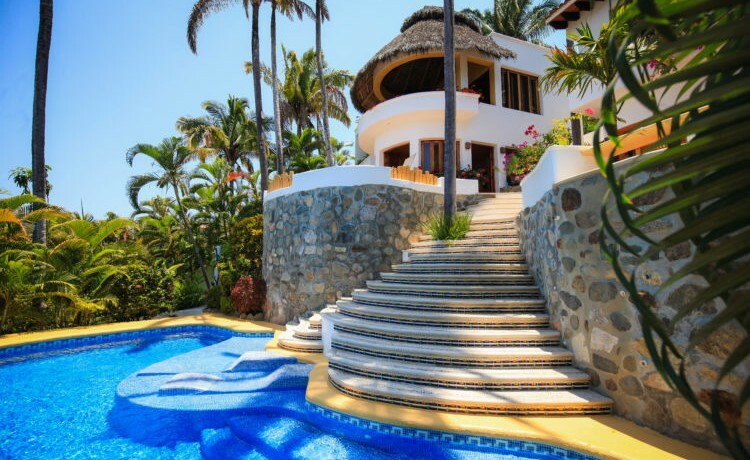 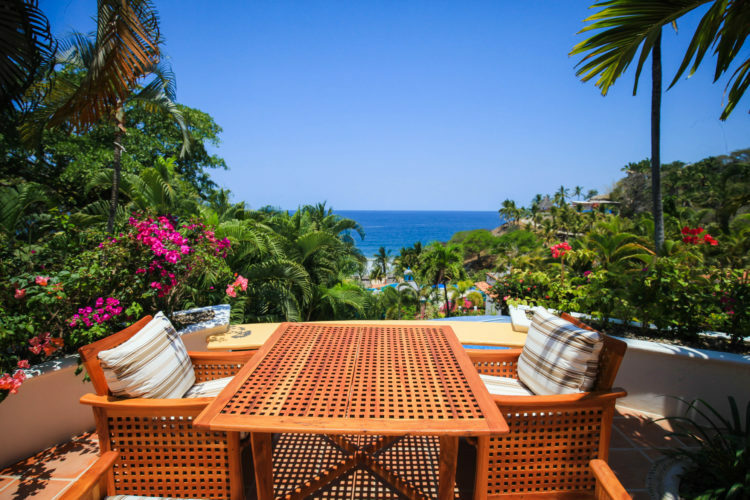 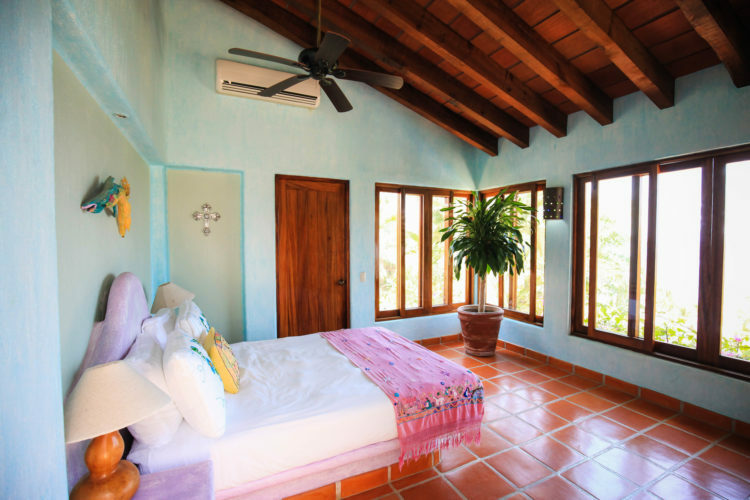 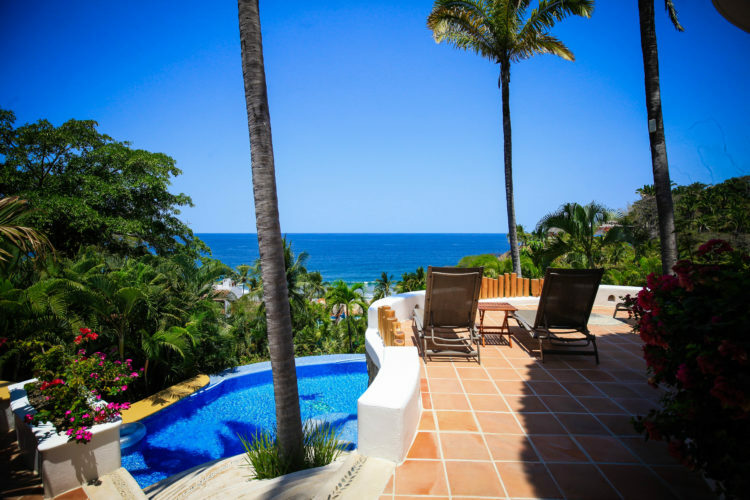 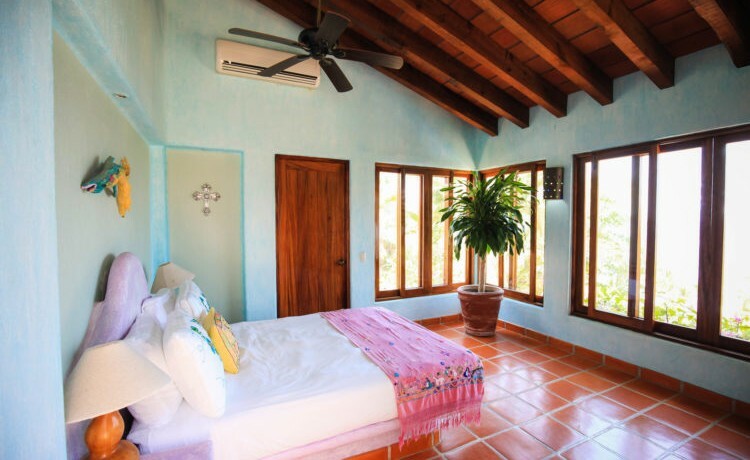 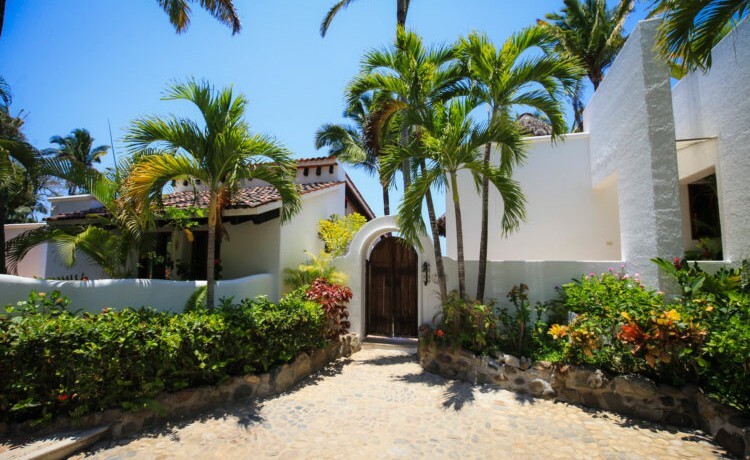 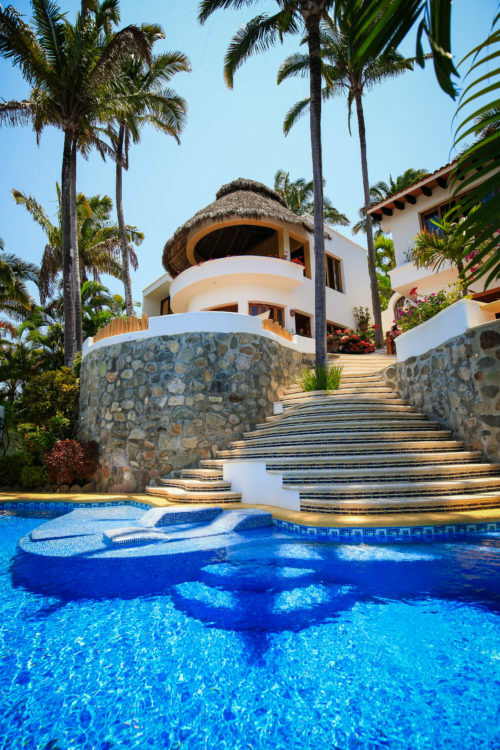 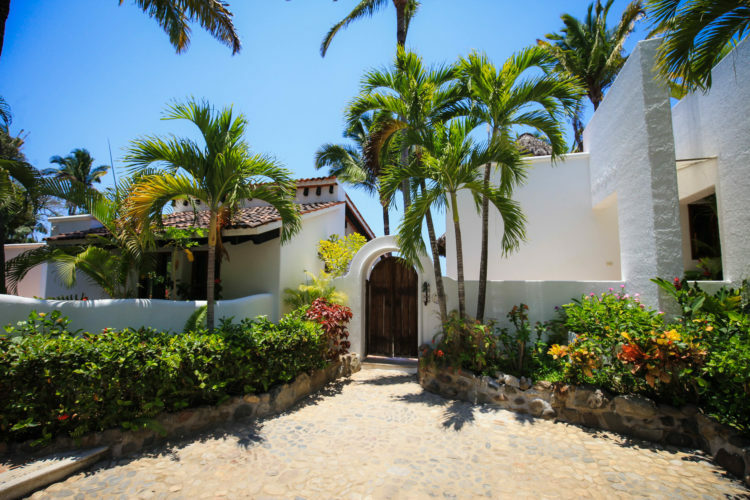 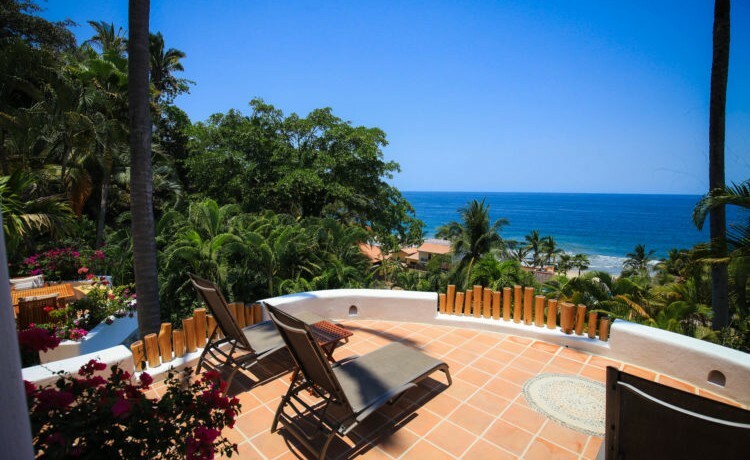 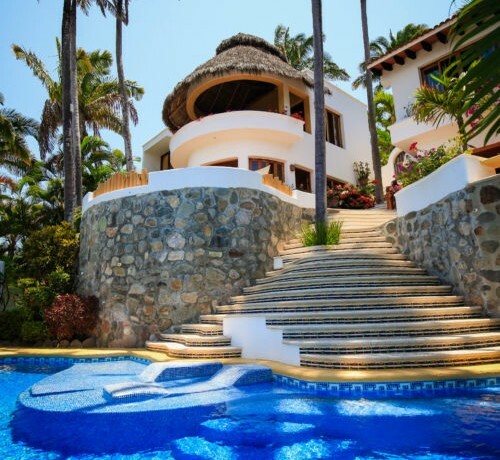 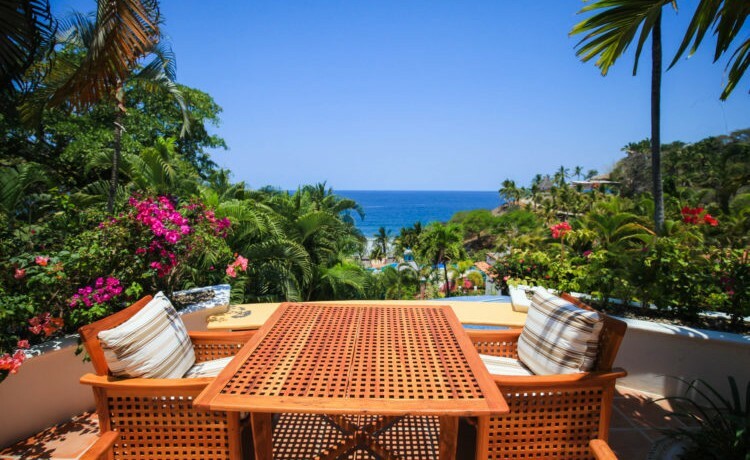 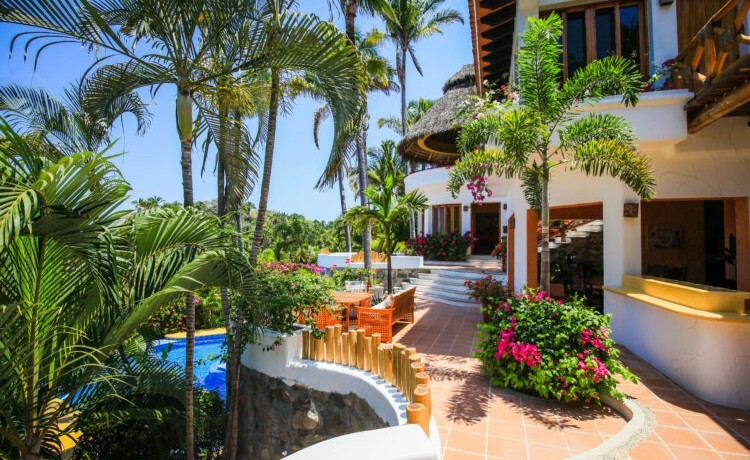 Villa las Palmas, an ocean view property located in the upscale Costa Azul neighborhood, is 25,338 square feet and hosts a three, en-suite bedroom villa and private, detached one-bedroom casita. 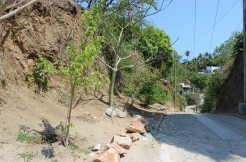 This property is one of the few corner lots with access and parking from the top and bottom of the hillside. 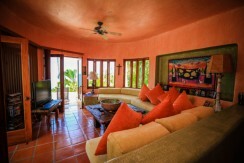 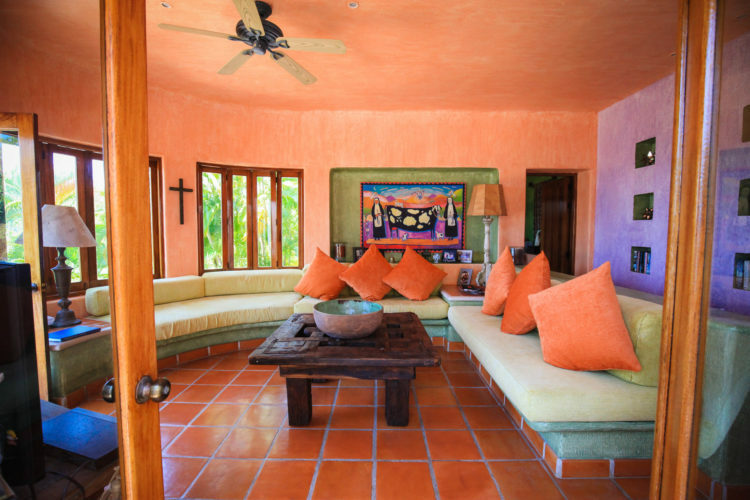 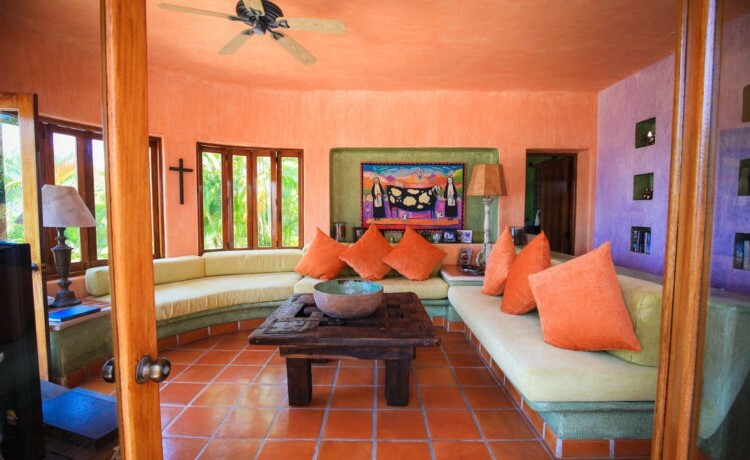 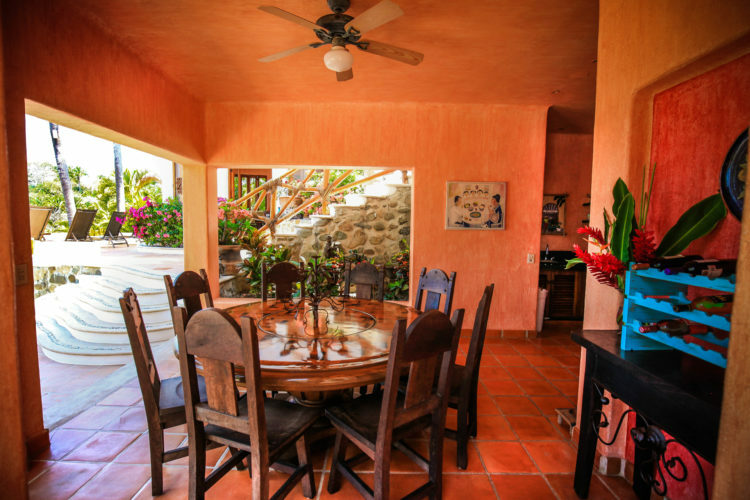 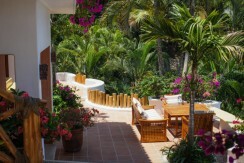 The main villa, Villa las Palmas, offers a unique, multi-level floor plan that includes areas grand enough to allow all of the guests to come together and smaller enclaves cozy enough to engage in those all-important, intimate conversations and private moments. 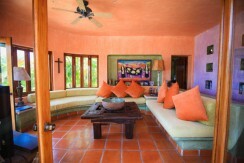 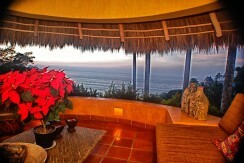 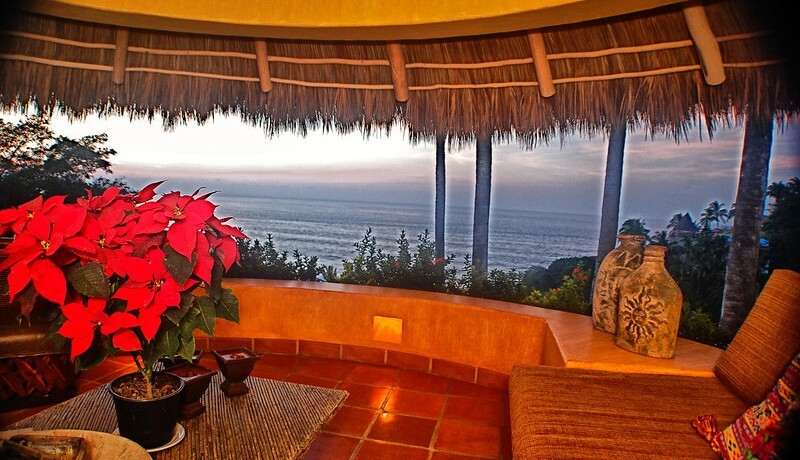 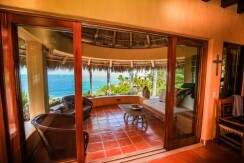 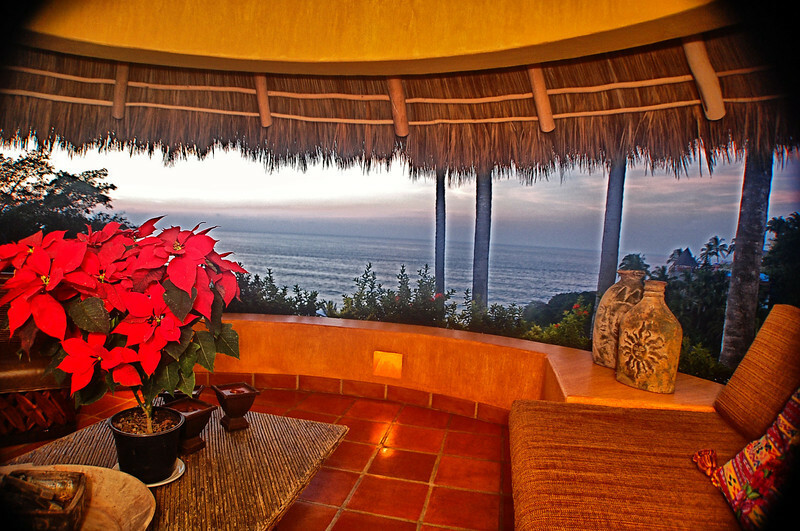 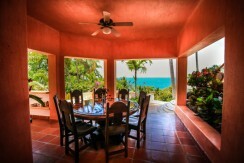 As one enters the main home you are immediately greeted with incredible ocean views. The master bedroom lies to your right and the en-suite guest bedroom with private, outdoor terrace to your left. 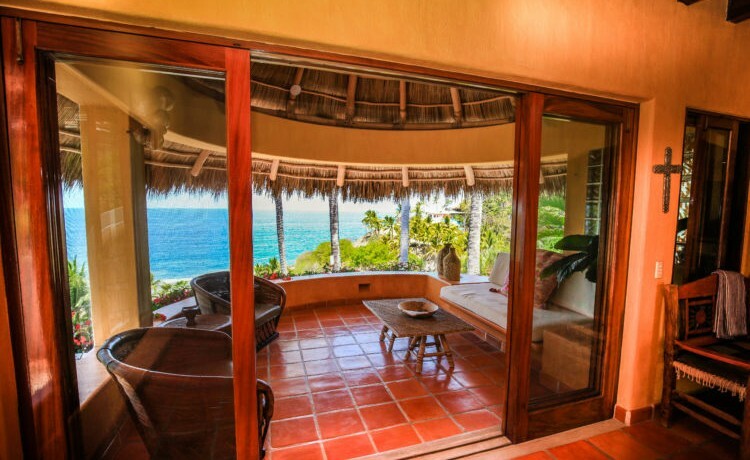 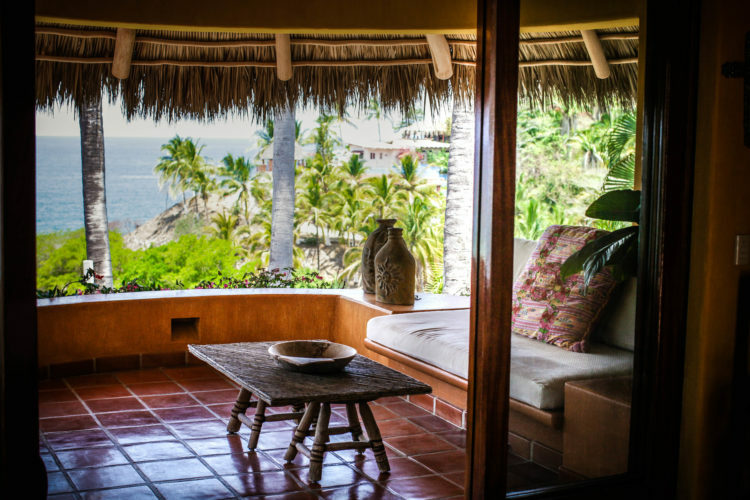 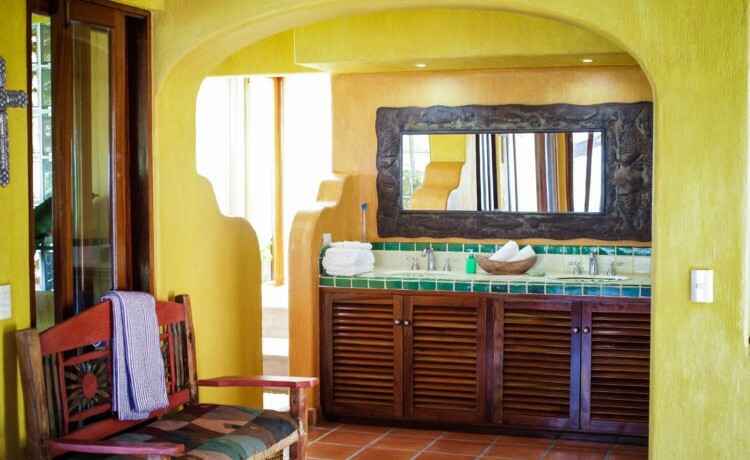 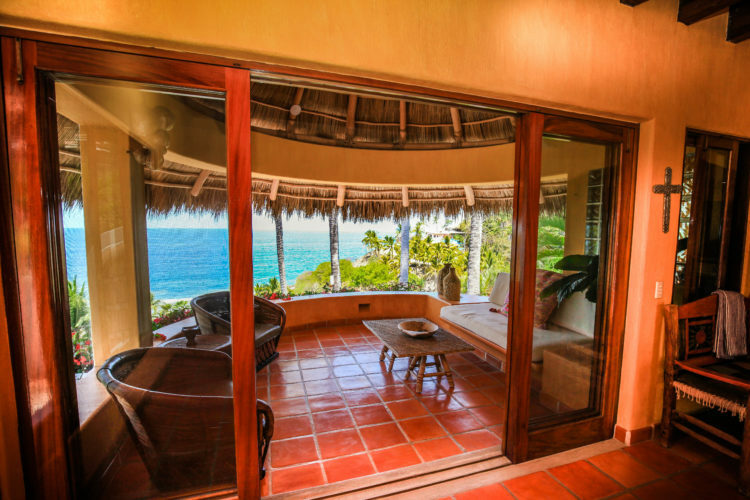 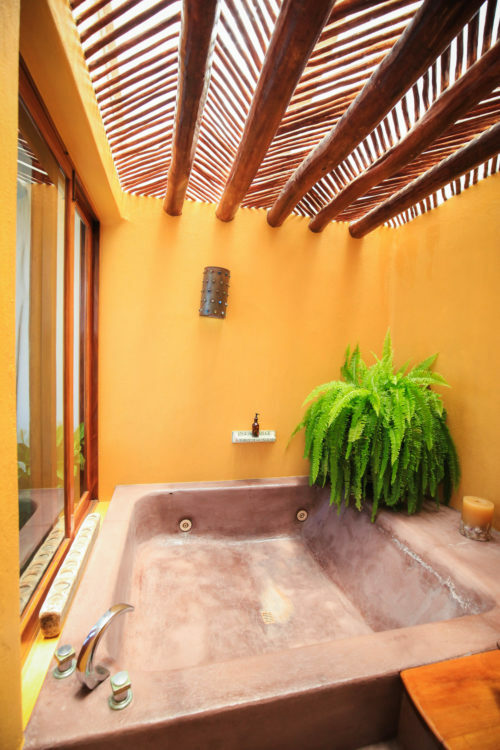 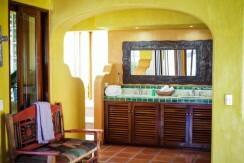 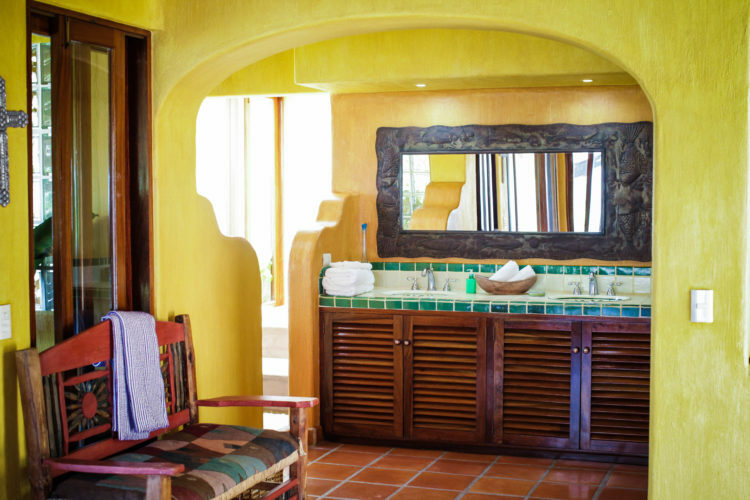 The master suite, with it’s jetted tub and a private, palapa-covered terrace is undeniably a room suited for romance and relaxation. 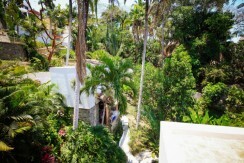 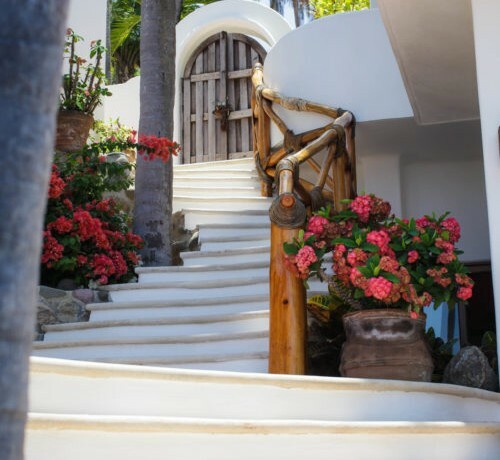 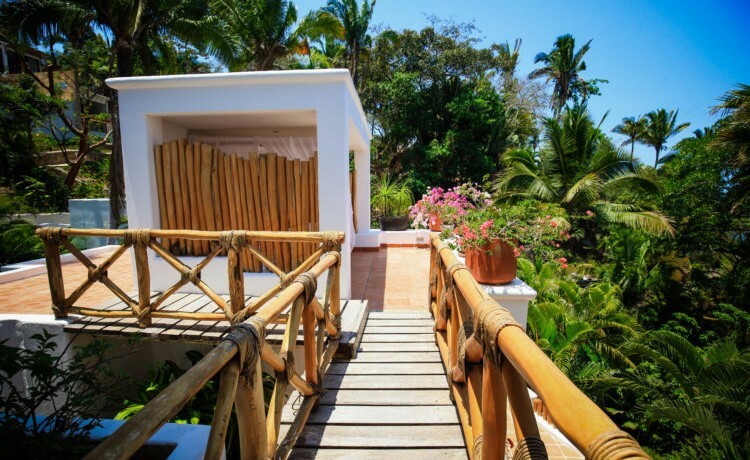 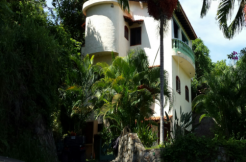 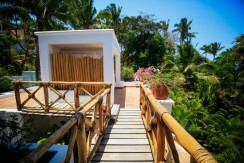 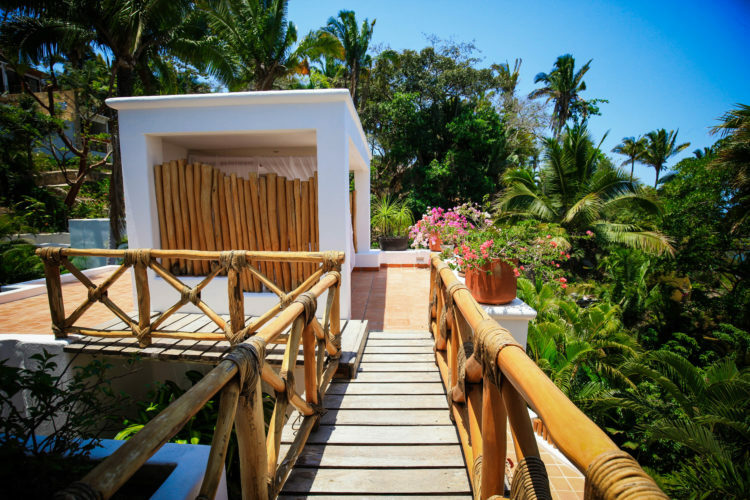 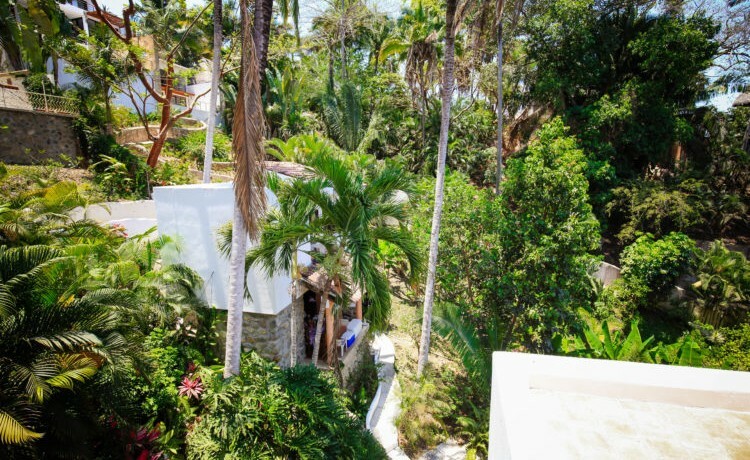 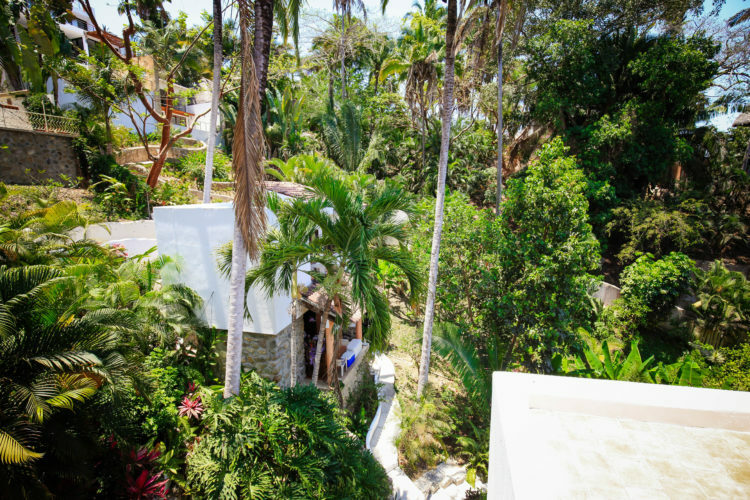 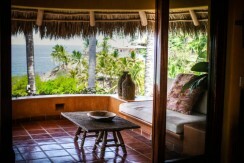 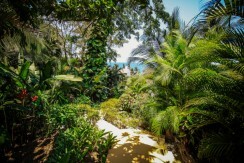 Continuing down the stairs one finds the fully enclosed den and hideaway office with large windows and outdoor terrace offering impressive views of the ocean and jungle setting. 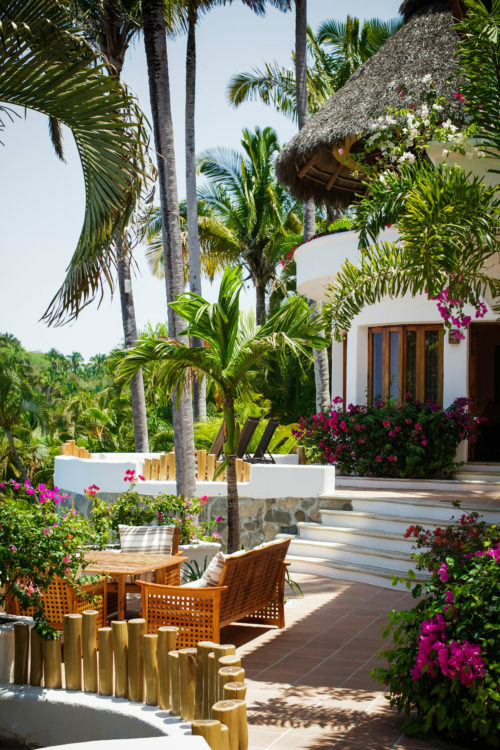 Further down a few steps leads you to the much larger terrace, wet bar with built in barbeque, open-air kitchen and dining room, powder room and the third en-suite bedroom. 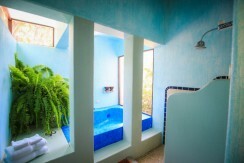 Step further down below to enjoy the fabulous, heated infinity swimming pool with wading areas and sunk-in tile lounges. 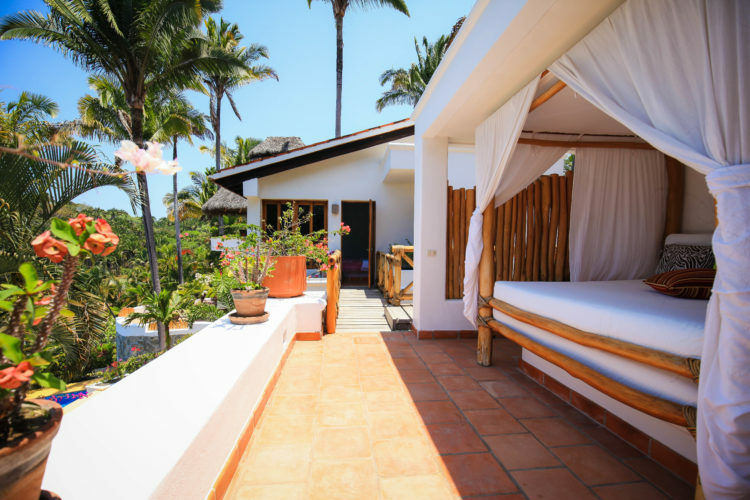 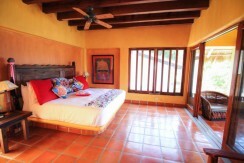 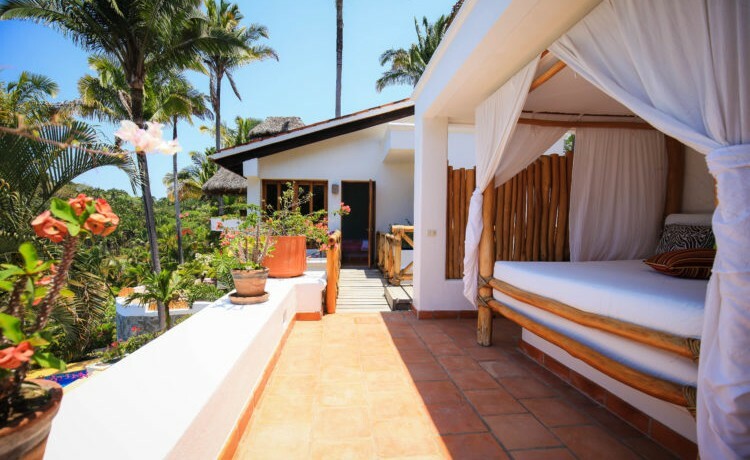 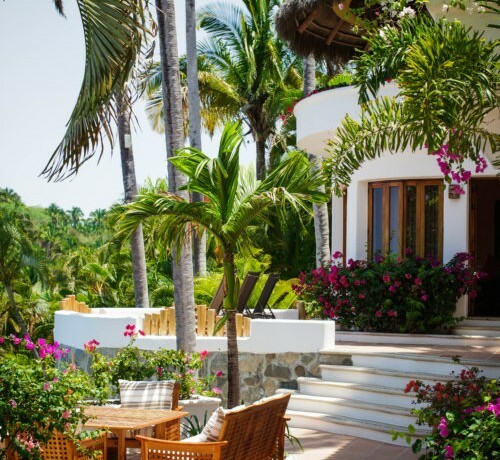 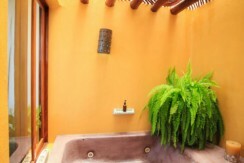 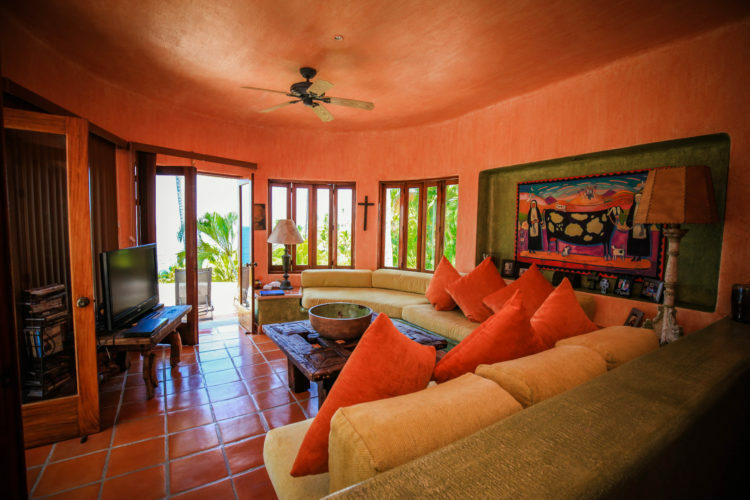 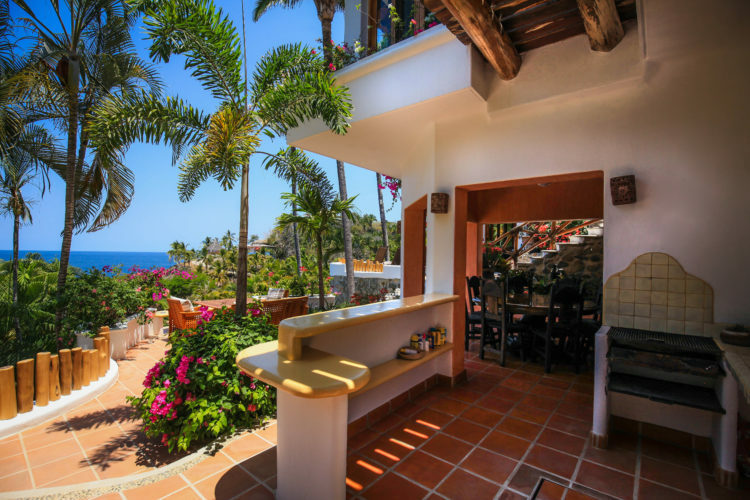 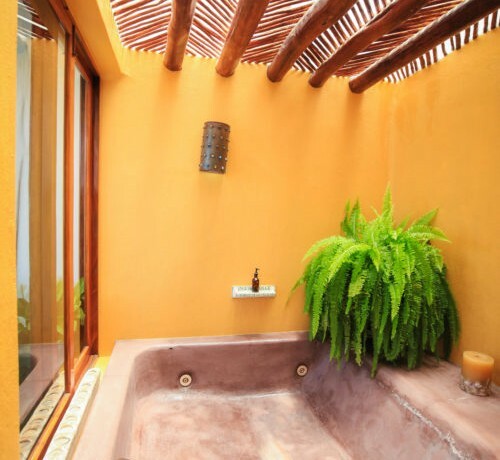 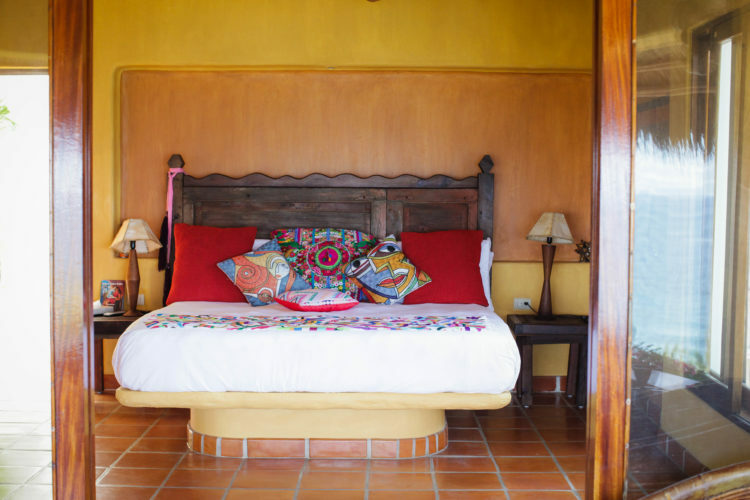 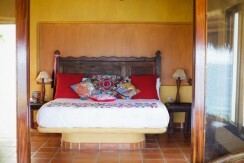 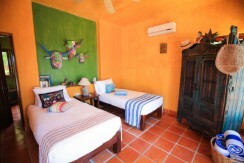 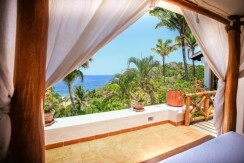 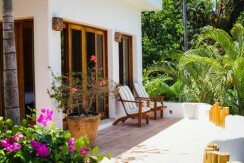 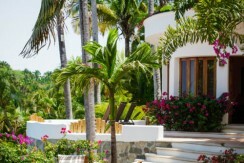 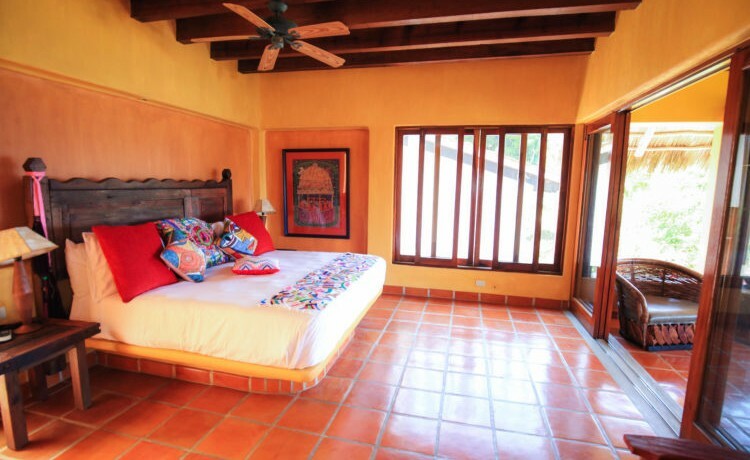 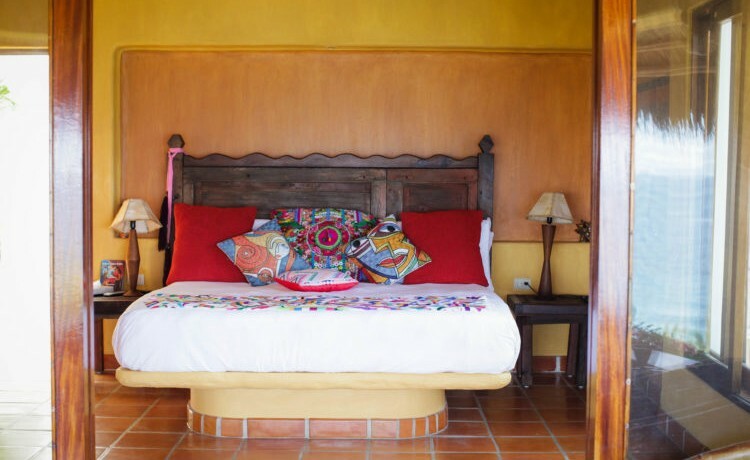 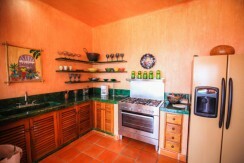 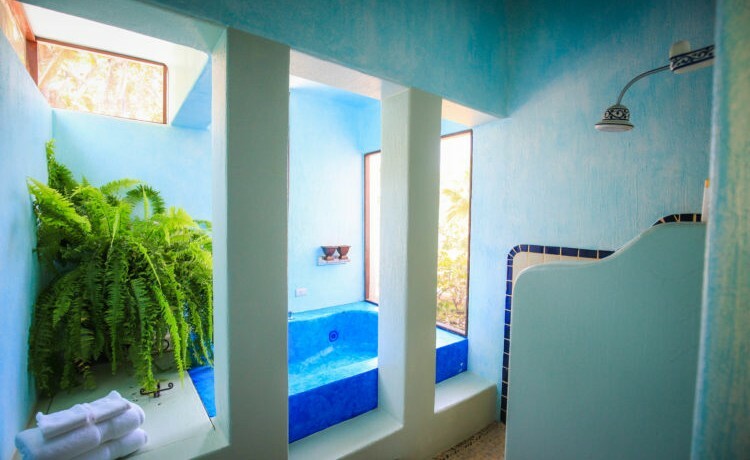 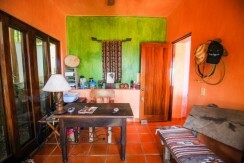 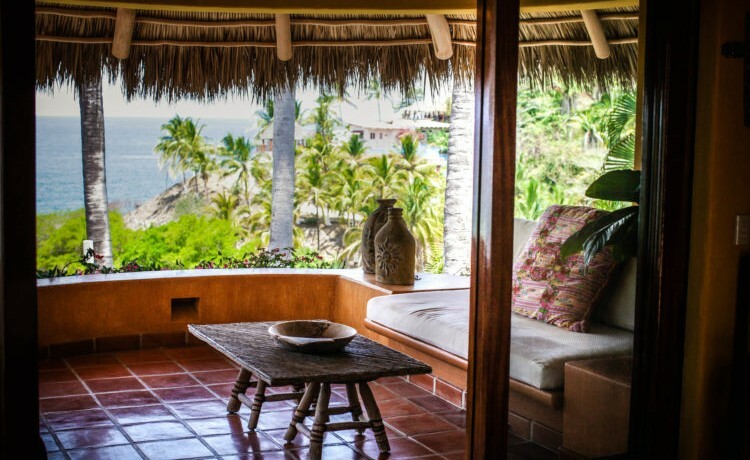 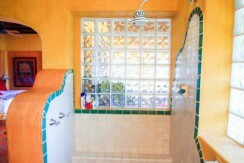 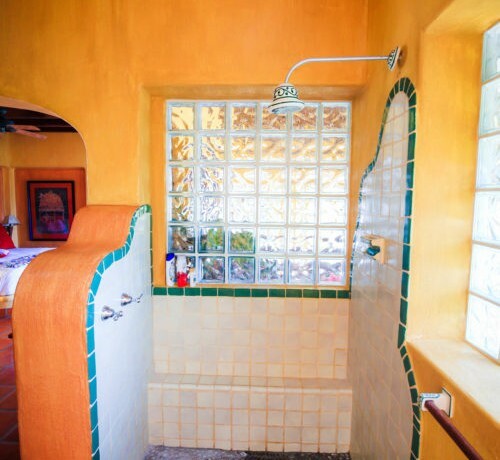 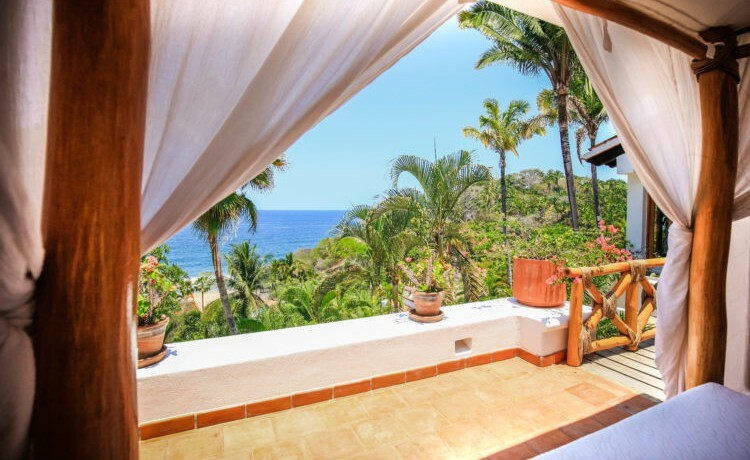 In addition to the luxurious main villa, the property also features a large, one-bedroom one-bathroom casita with its own living room and kitchen. 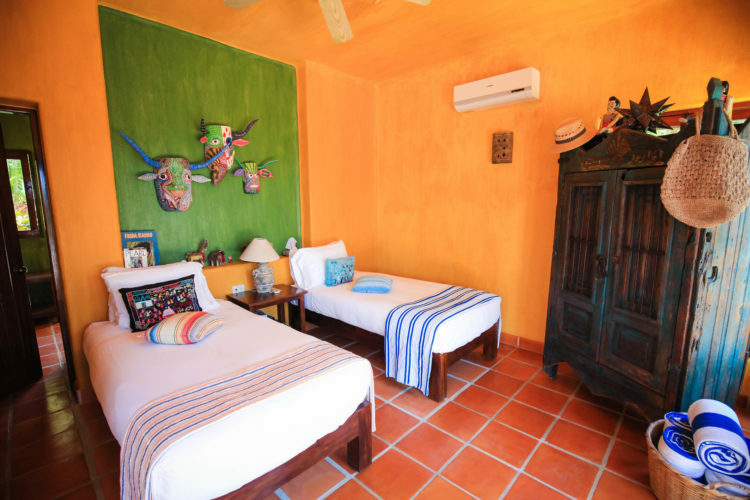 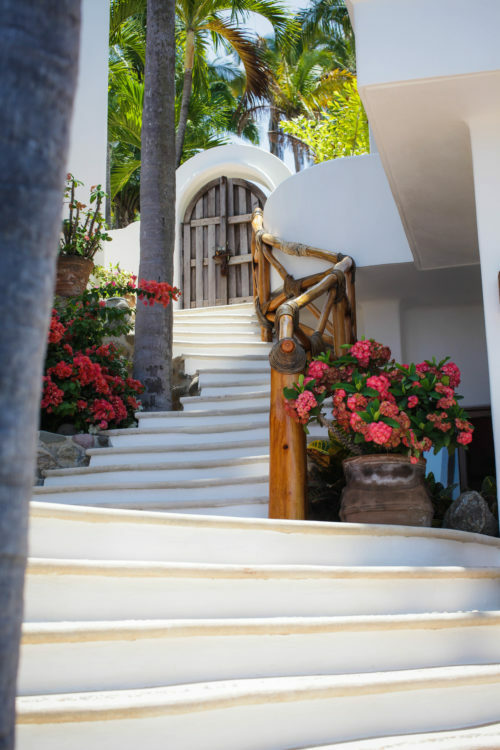 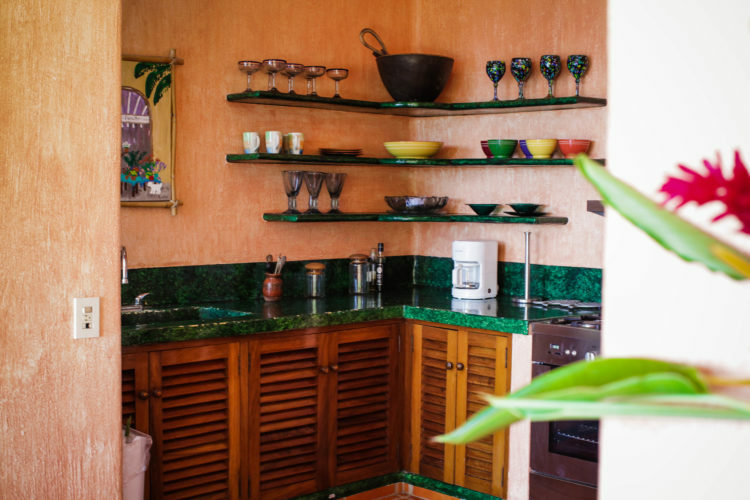 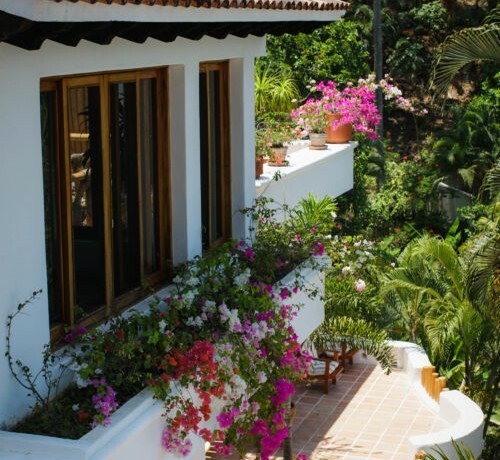 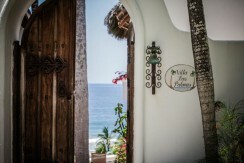 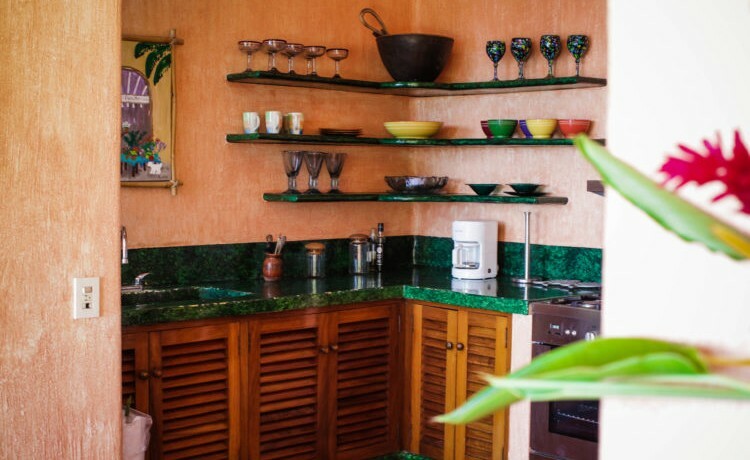 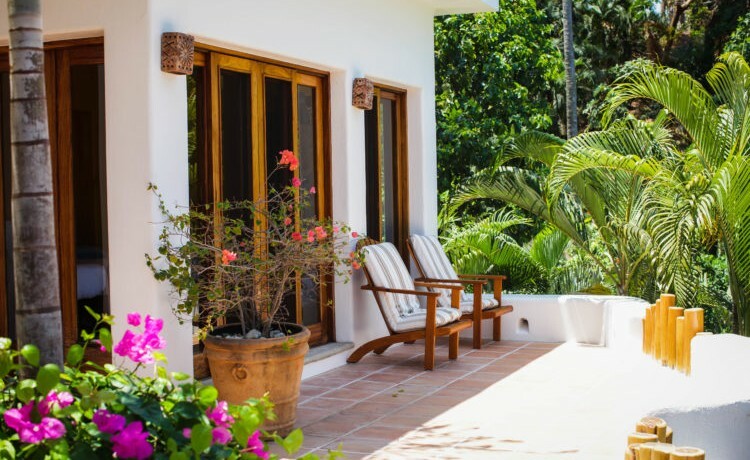 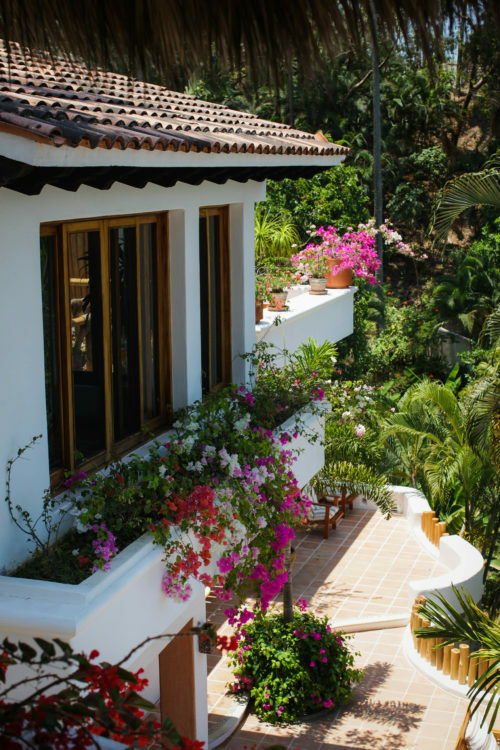 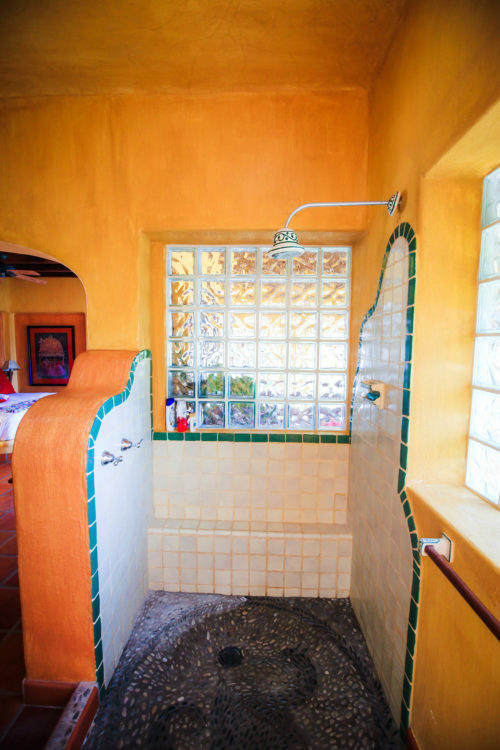 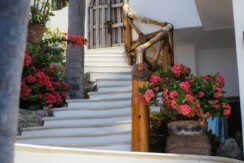 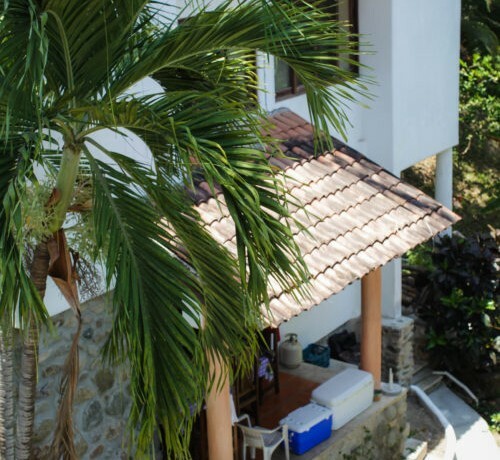 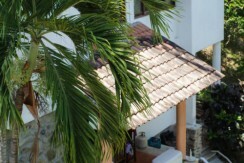 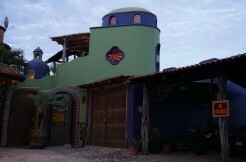 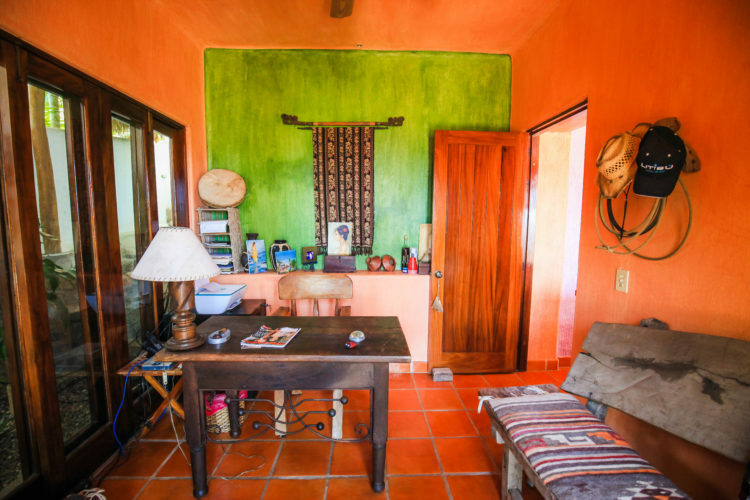 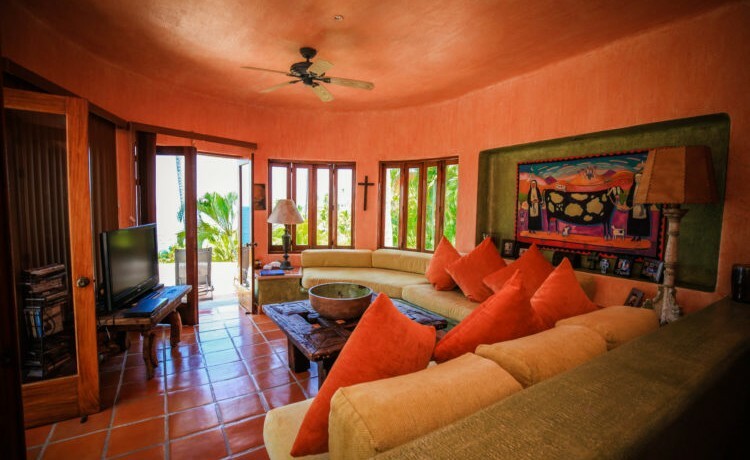 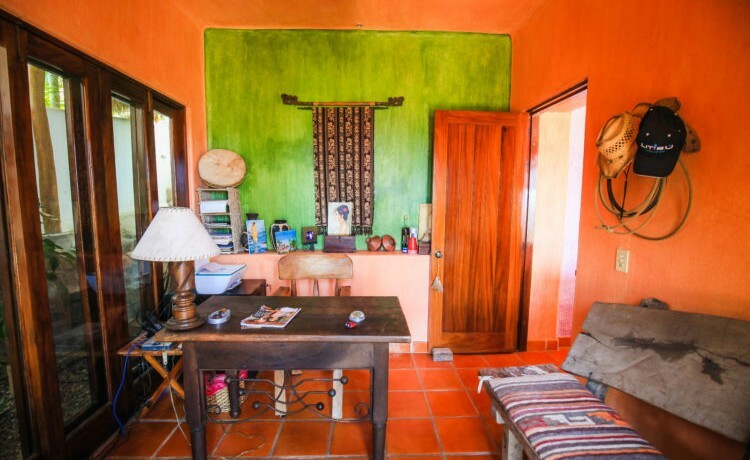 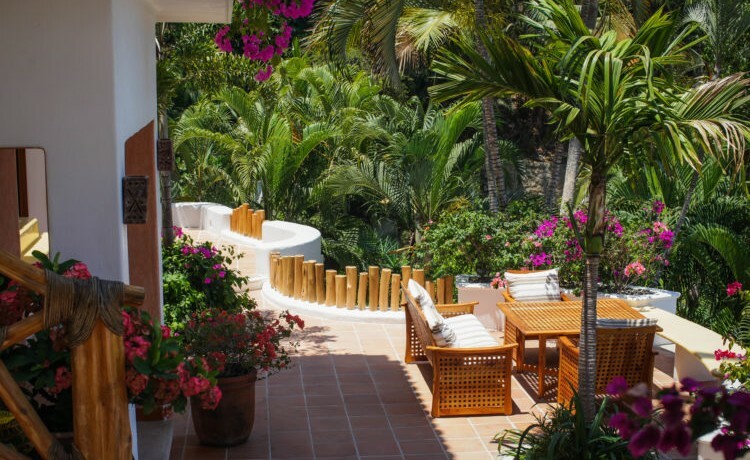 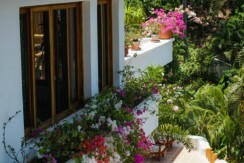 The casita is currently occupied by the caretaker who watches over the property and provides excellent care and chef services to the guests and owners staying at the property. 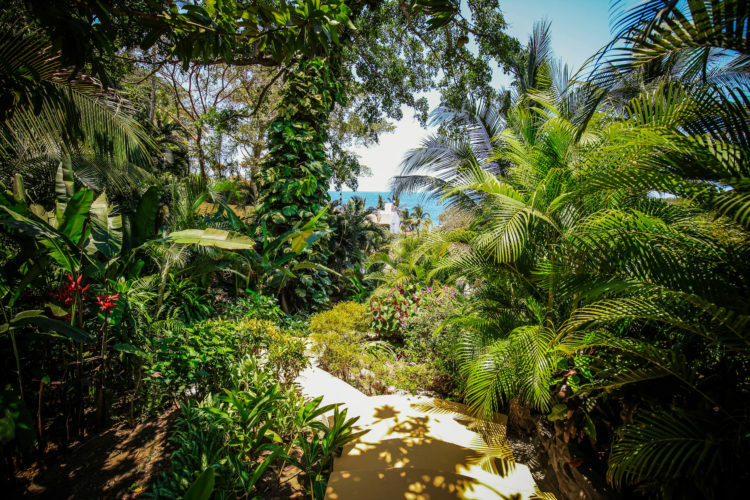 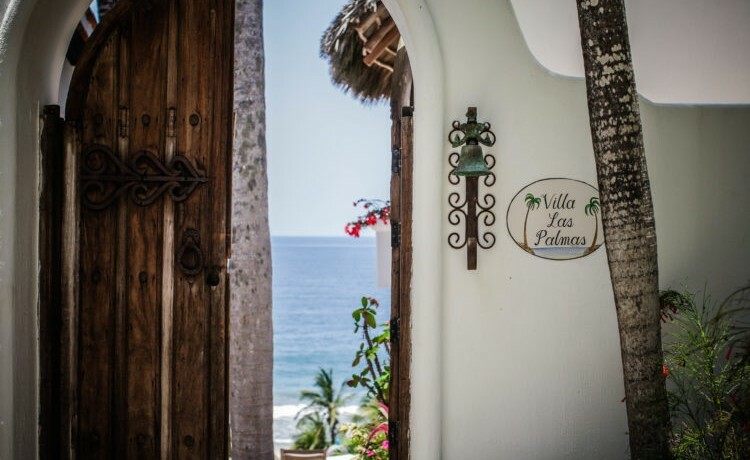 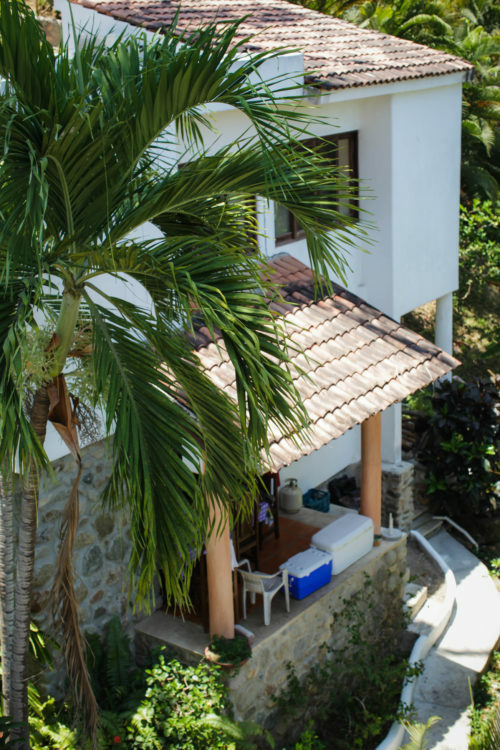 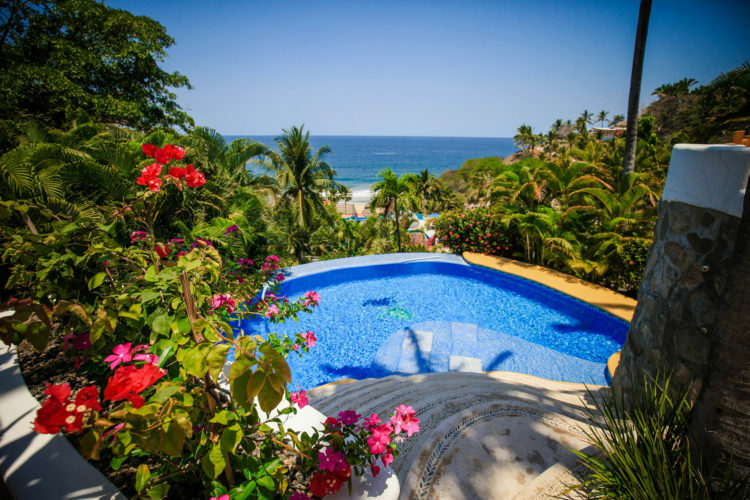 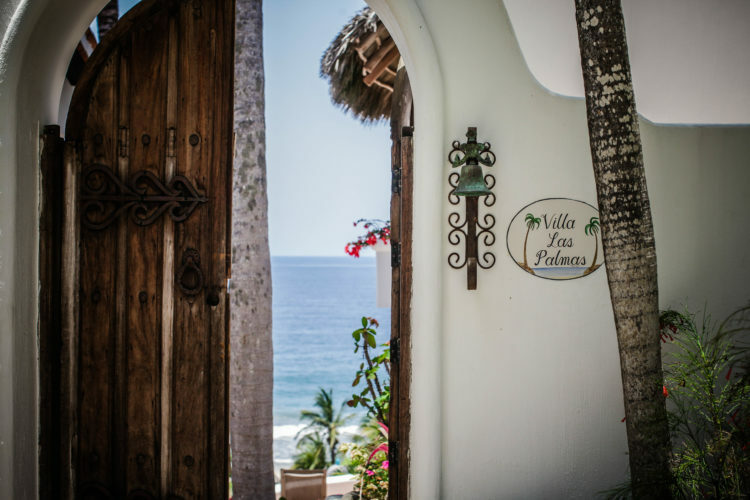 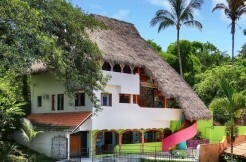 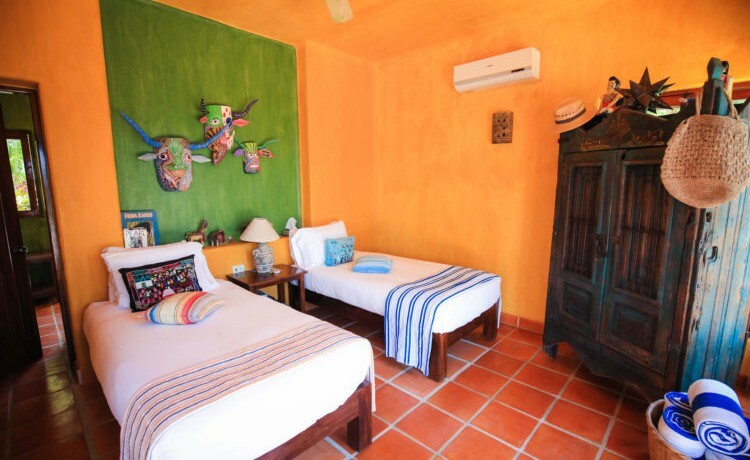 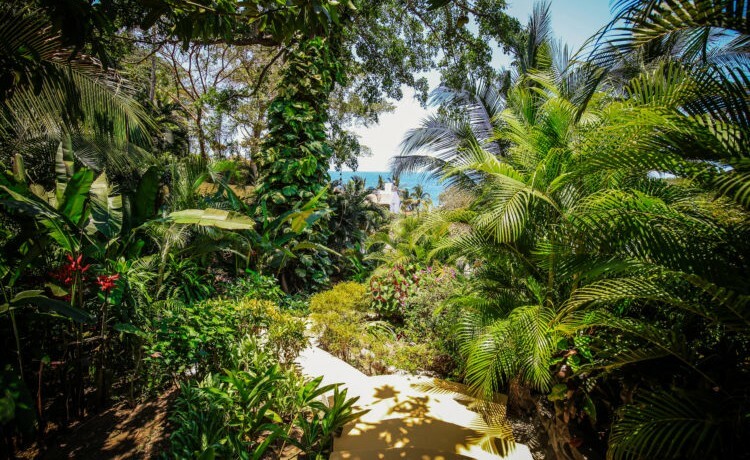 Villa las Palmas is a quick, three-minute walk to the beach and a five-minute drive to the enchanting pueblo of San Pancho. 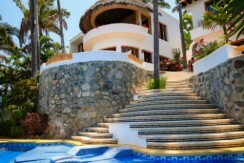 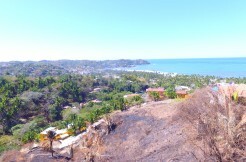 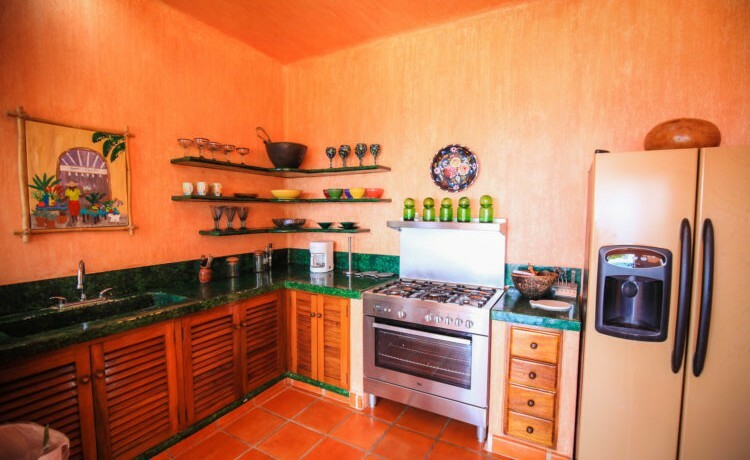 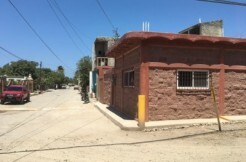 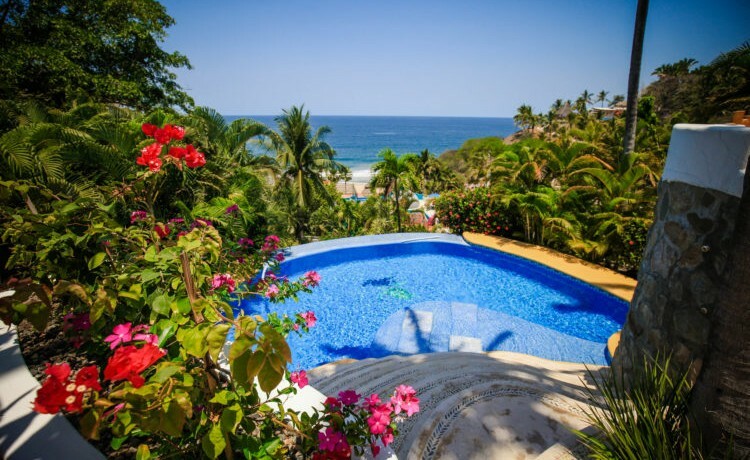 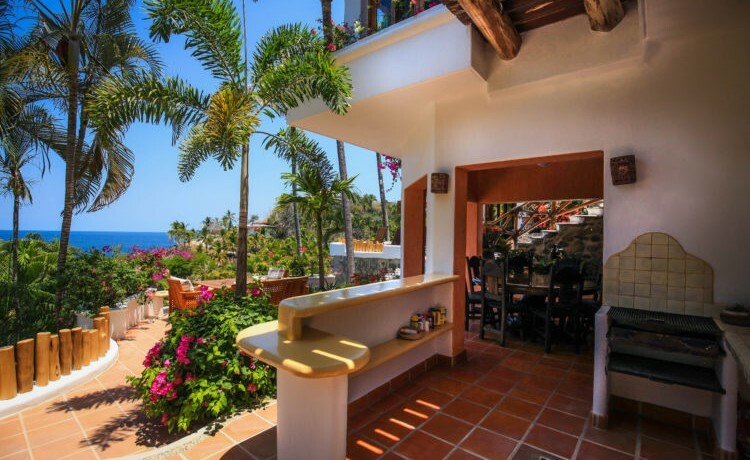 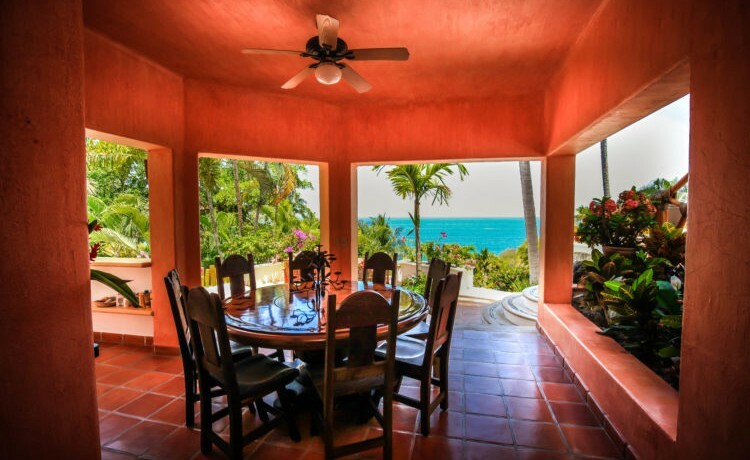 With the unbeatable location, incredible ocean views throughout, potential rental income, large, well-manicured lot and detached casita for staff or long term stay, Villa Las Palmas & Casita is a unique property with many possibilities!